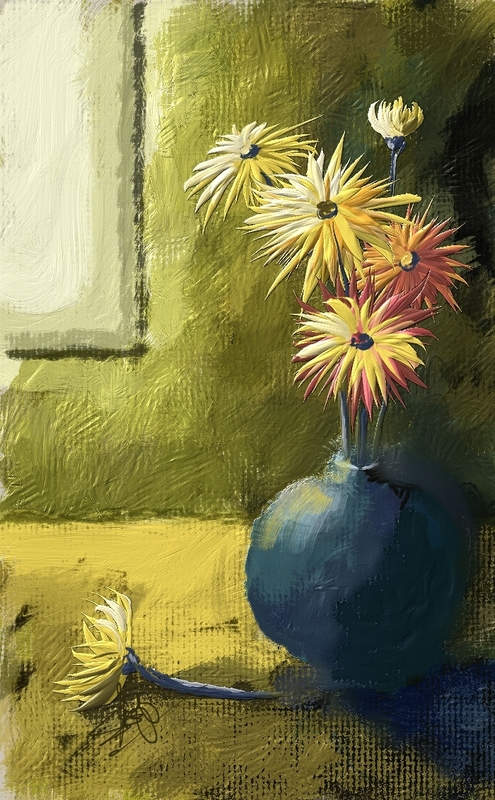 I have just made a download page for my newest brush set, called Bristly Dabs. Thanks to David Gell, Master of all things Painter, the sets are backward compatible to Painter IX. Thank you David!!! Download one or both sets. One called PIX_Bristly_Dabs.zip does not use rotation expression. The other called PIX_Bristly_Dabs_Rtn.zip uses rotation expression in three variants. If you have an art pen for any version of a Wacom tablet, download the file with Rtn in the name. I think you will enjoy using barrel rotation with these brushes. The brushes contain impasto and non-impasto brushes. 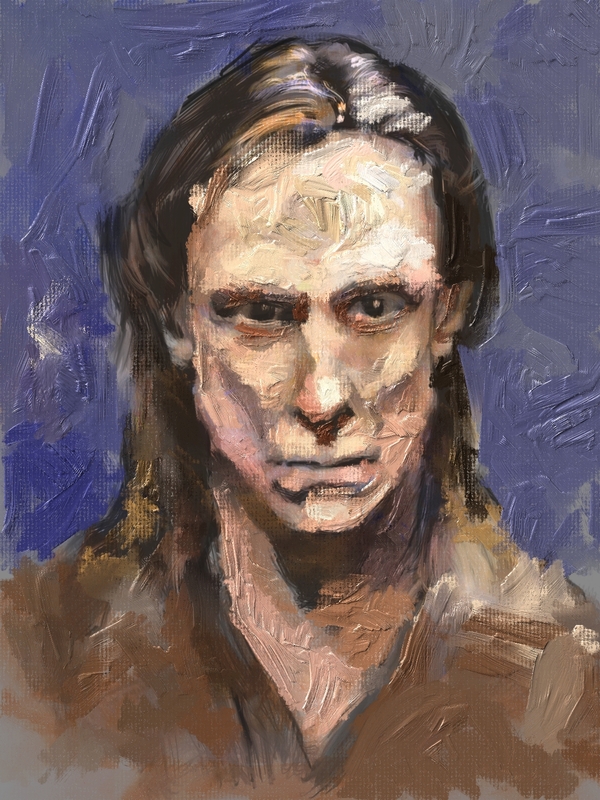 There are some very specific caveats when using these brushes especially in Painter 12. I prepared 3 videos illustrating how to use the brushes. The first one describes the techniques used with Bristly Dabs. The other two give more details about using the variants and information about impasto in general. It is imperative that you watch the videos. All three are helpful, but the last two are the most helpful. If you do not watch any videos, do at least read the points listed on the download page. The next video takes you through the process of the painting. Part 2 illustrates the Impasto Panel. I hope you enjoy the videos and the brushes. Don’t forget, I have these classes starting October 22 at the Digital Art Academy. Click the class name for more information. 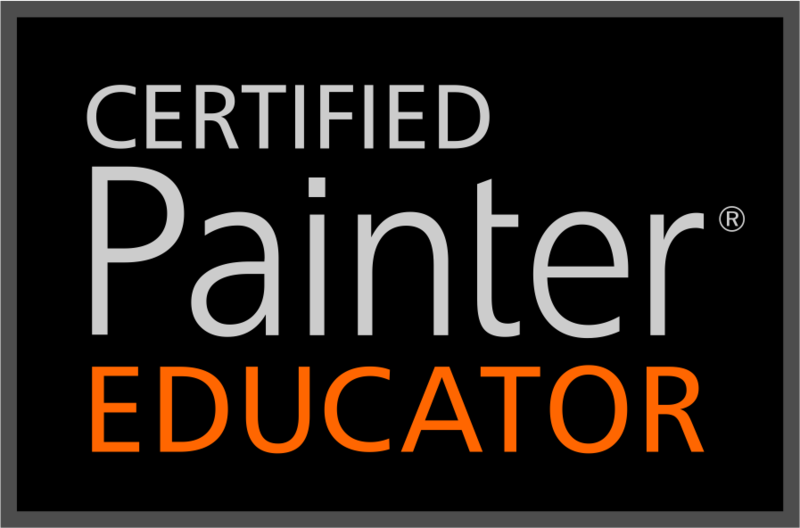 You may want to take Elaina Moore-Kelly’s class, Introduction to Painter 12 – Part 1, designed for someone just starting out with Painter 12. It is a fabulous course. Also, Elaina teaches Creative Collage: Scrap Techniques With Painter, which uses Painter 11. Do visit the Digital Art Academy and look at the other classes available. I guess that is it for this post. I can go let Kevin out of the bathroom. “What, you did what?” I dashed to the bathroom. OMGosh, it is awful, there is a man-sized hole in the door. Shutting the door offers no privacy now. I hear a cackling laugh coming from the computer room. I got to run. I think I am going to need a new bathroom door.